Knowing the cost of your care before you receive it could save you thousands of dollars in the long run. Would you purchase a car, a television or a vacation without knowing the cost first? Likely not. Why should health care be any different? Yet, every day, people receive medical treatment without first understanding their costs. Doing your research first and shopping around allows you to make an informed decision about your care, which could save you valuable health care dollars. Until recently, there wasn’t an option to research your procedures and potential costs. People blindly scheduled necessary appointments and awaited the bill to find out the associated expenses. 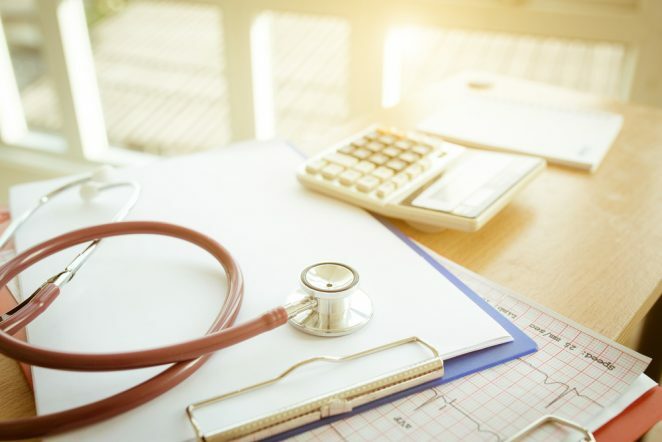 But with the popularity of high deductible health plans growing by 25 percent in the past 10 years, consumers now find themselves responsible for paying more in out-of-pocket costs for procedures and specialty visits, leading to a stronger desire for cost information. 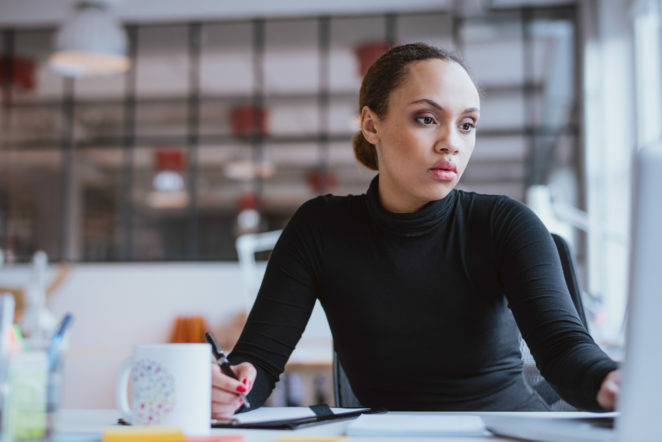 As cost transparency in health care continues to be a trending topic, health insurance companies and health providers are working together to make it easier for you to research your costs. Transparency tools offer cost information for thousands of health care procedures. For instance, Priority Health provides specific cost estimates, including out-of-pocket expenses, based on a member’s unique plan benefits. It has proven to be a successful approach – members who utilize the tool have saved an average of $1,000 to date. 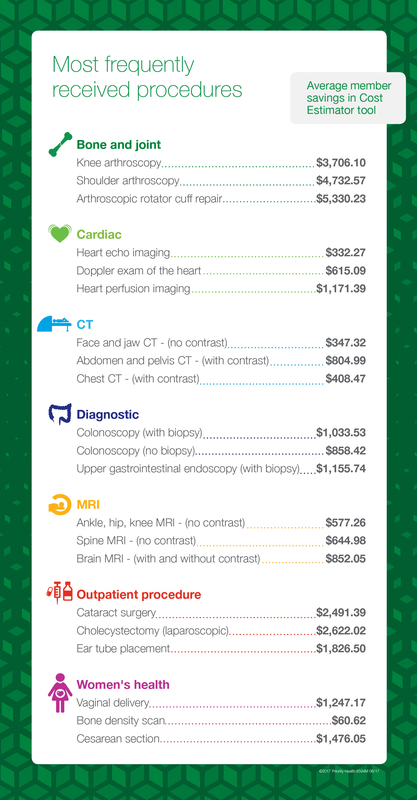 Even the most common procedures, such as CT scans, MRIs and diagnostic procedures, can vary in price. Doing your research first and shopping around allows you to make an informed decision about your care, which could save you valuable health care dollars. Below you’ll find a chart, provided by Priority Health, of the most popular procedures and the potential savings for each based on its Cost Estimator tool. If you don’t have access to a tool like Cost Estimator, call your insurance company to have a representative search and compare prices for you based on your plan. You may need to have the procedure code from your doctor’s office to get the most accurate estimate. Look at your plan details today to save more on health tomorrow.